As a native of Illinois, Abraham Lincoln loomed large over every history lesson ever taught in school. He is the pride of the state, the number one tourist attraction for little towns that Lincoln happened to stay a couple of nights in when he was young. Antidotes abound and become legend about what he ate at a particular hotel or how he had his law office when he was still practicing. Looking at these historic buildings, road signs (there is something called the Lincoln trail that Lincoln aficionados take when they want to travel like Lincoln did.) and hokey statues lets you forget that this guy was a man with faults and desires. In Young Mr. Lincoln, John Ford reminds us that this mythic figure was once just as human as you or me. 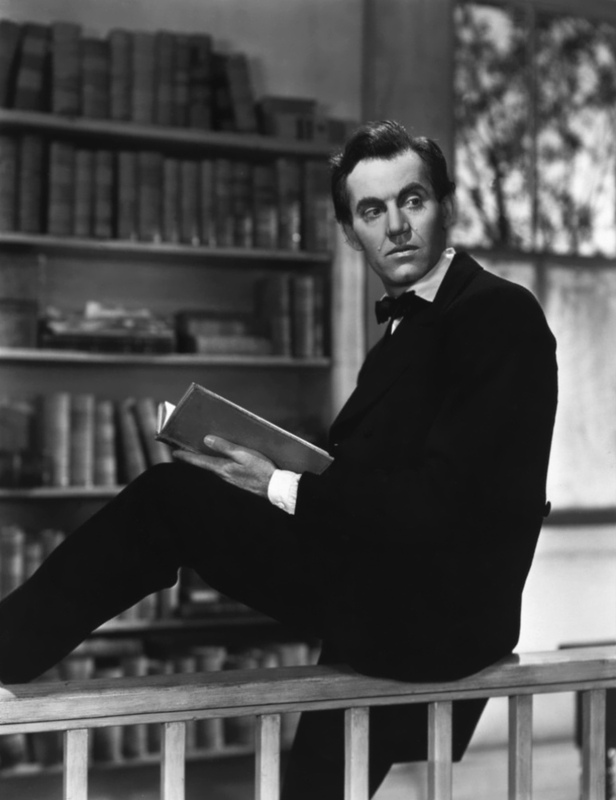 Henry Fonda plays Abraham Lincoln at the start of his lawyer career. He had previous just been a shop owner, but decided that he would take on the law so he could help serve his community and fulfill the wishes of a dead almost lover. Once he establishes his practice, he has a hard time coming by good quality clients. It isn’t until he witnesses the aftermath of a shady crime, does he finally get his break. This crime involved two brothers and a local drunk who came at their sister with a knife, but they seemingly thwarted the advance by killing him themselves. Once the crime was found out, an immediate call for lynching the two men was interrupted by Lincoln making a case for a fair trial. He works on the case day and night, forgoing compensation and any other demands on his time. But he can’t seem to get around the perception that these men did it in the eyes of the public. He points out the lies the prosecution was committing, grills witnesses on seemingly irrelevant facts and commits a couple of rookie lawyer mistakes. His convictions won’t let him down and he fights for the trial to proceed until he realizes the solution was underneath his nose the whole time. This movie reminded me of To Kill A Mockingbird. The earnestness of the main characters, the distinctive notoriety of the cases, and the well-meaning people caught in the middle of the law are all similar. Of the two, I think Young Mr. Lincoln is a better executed film (I know blasphemy). The era depicted in Young Mr. Lincoln was ripe with idealization and the realization of simpler times by the time this movie was made. Whether or not it was a simpler time is irrelevant because it was for Lincoln. The subjective era is more in play here than in To Kill a Mockingbird. To Kill a Mockingbird dealt with a time still fresh in most people’s minds and this time was not simple for those people. The Depression and oppression of black people plays heavily upon To Kill a Mockingbird to its detriment. Also I think that Henry Fonda does a more complete job of disappearing into his character than Gregory Peck does. It does help that there had been volumes upon volumes produced about Lincoln’s mannerisms and actions while Gregory Peck just had one book, the source material, but that research and familiarity could have been an impediment to Fonda. Instead Fonda embraces his earnestness while Peck downplays his. While I think that To Kill a Mockingbird is important in cinema history and in the lexicon, I think that Young Mr. Lincoln should be just as well-known.